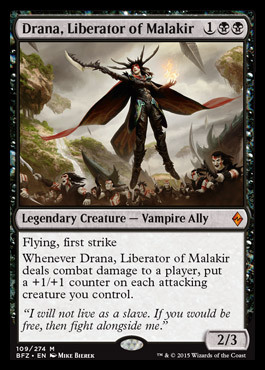 So Shadows over Innistrad Preview Weeks haven’t officially started but we’ve already got some tasty tidbits flowing in from last weekend’s Grands Prix. Aaron Forsythe basically stated that the Eldrazi will be put into a more reasonably place (although not abolished) in April. All Modern fans rejoice in unison! But let’s talk about Standard. How do I prepare for the upcoming rotation? Analyze the new cards and the leaving cards and make some playability predictions. Right now most decks can’t get to turn 6 reasonably but this card is primed to be a house. 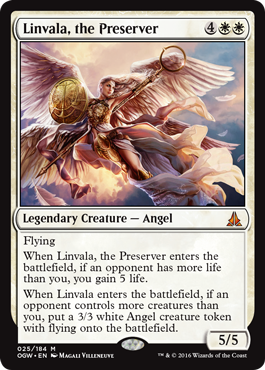 It has a relevant tribal creature type for Innistrad and with the rotation of a lot of it’s biggest enemies gives Linvala, the Preserver a chance to spread her wings. At under $3 per copy, I can’t see a world where you have much to lose. Linvala also holds a good amount of casual value being a giant mythic angel. 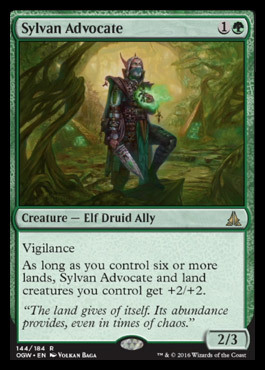 I foresee the rotation of Abzan Charm, Crackling Doom, and Murderous Cut as a big reason more expensive threats will become better. With the rotation of the best lands in the game, our fixing gets a lot less and people will likely need to play a lot more copies of newer duals. With all 3 of these lands comfortably under $3, I think it’s a pretty great pickup now because the best ones will get very expensive very quickly. This guy I think will be one of the sleepers of the new standard. It has a reasonably priced body with a good defensive ability. It incidentally pumps the creature lands (that are likely to get more popular) while providing some flood insurance. At a few bucks this one may not really move in price but it’s already proven to be solid. 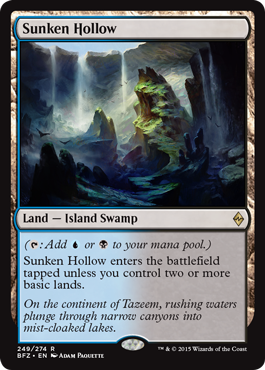 Sunken Hollow and friends are due for their “first printing” tick up as fetches leave and 2 Sunken Hollow is no longer enough for your blue/black deck. There is no guarantee we get a new or a reprint dual land cycle in Shadows over Innistrad so I would recommend buying into the ones we know are good. They last for another 12 months so spending about $60 to get a playset of all of 5 is an easy investment. The creature lands here are the same as above. 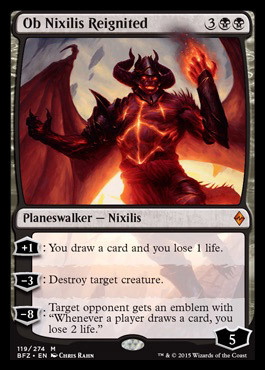 I am still amazed at how cheap this planeswalker is. A standard legal planeswalker that isn’t a joke (you know, like Tibalt, the Fiend-Blooded) is only $6 is a real shame. 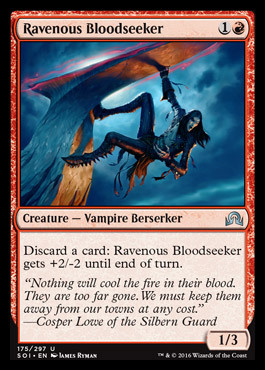 I could see him tag teaming with Chandra, Flamecaller to form a good barrier against big and little creatures (similar to Jace, Architect of Thought and Tamiyo, the Moon Sage did a few years ago). 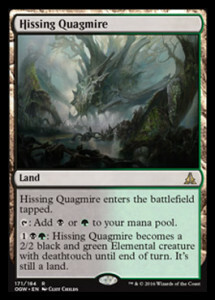 Another black mythic that can be played as a 4 of is a paltry $7.50 on TCGPlayer. 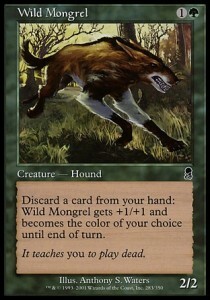 She has a relevant tribal creature type and is aggressively costed. With it’s brick wall nemesis, Mantis Rider leaving Standard, she is primed to shine. These sets have less time in Standard but I will focus quickly on some cards that could become format staples for the next 6 months. These guys have seen a little resurgence lately in the Bant Collected Company deck but you might remember when Deathmist Raptor commanded a premium price tag for mythics. 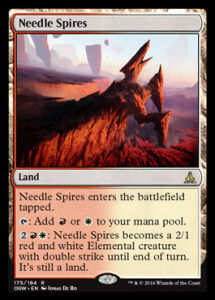 Their abilities have good synergies with self mill (an important theme in the previous Innistrad block) and discard. 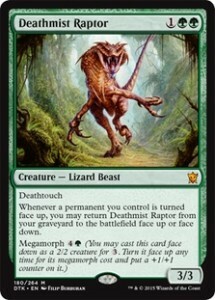 At $7 I think it’s a good time to get Deathmist Raptor and Den Protector if that’s your jam. 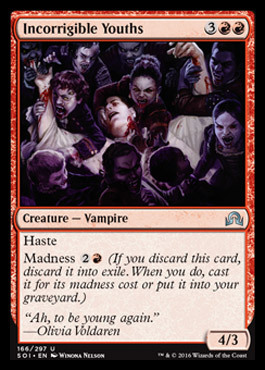 With the rotation of the most powerful gold cards in Standard, these extremely versatile instants will need to pick up more slack. 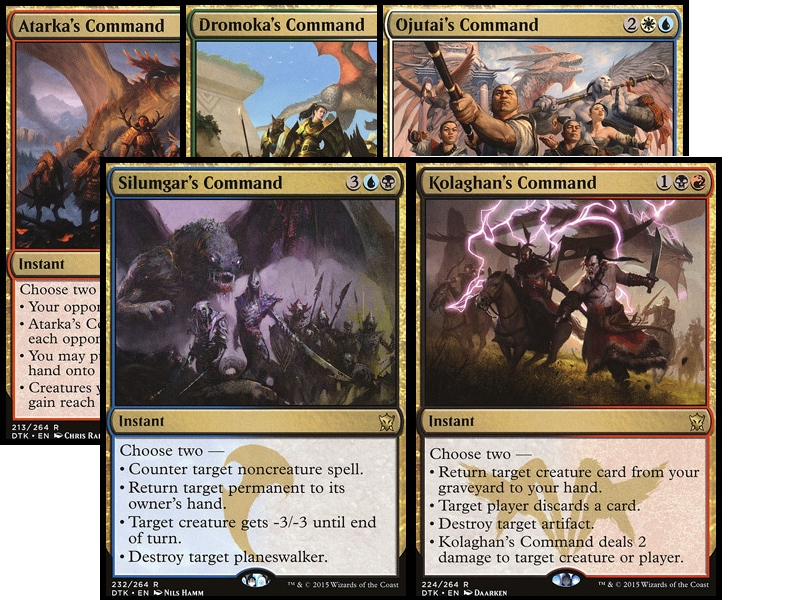 Ojutai’s Command and Kolaghan’s Command synergize well with graveyard strategies which can’t be understated. Amusingly enough, Ojutai’s Command can return this “thing” people are really excited about. 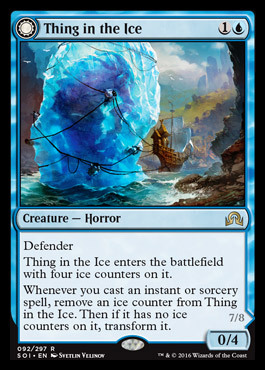 It’s already up to a $12 pre-order on SCG in it’s first day so I have to assume this card is 100% hype. 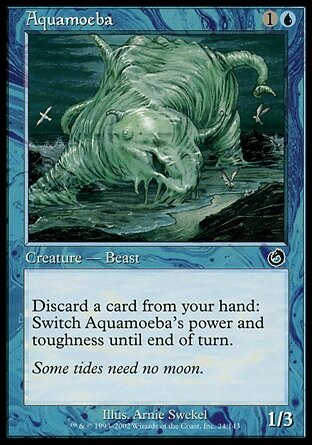 It is a lot of investment for something that at the end of the day can get Reflector Mage‘d. I want to quickly talk about these two. I wouldn’t advocate buying into them now if you’re not totally sure you’re going to play them. 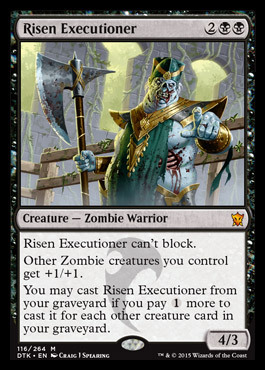 Risen Executioner has already seen a sizable jump from his bulk mythic price after a “good” mythic zombie was spoiled. 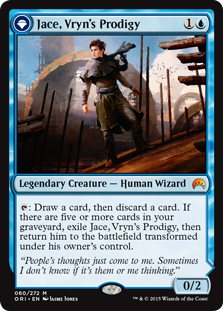 Jace, Vryn’s Prodigy is very close to closing on the Jace, the Mind Sculptor levels of pricey. I don’t think he will be banned but I also am not sure how much longer he can sustain such enormous prices. Theoretically Jace, Vryn’s Prodigy will hit his peak at Pro Tour Shadows over Innistrad as Standard cards tend to peak approximately 6 months before rotating. Where will he go? I’m not sure but this 7 year old photoshop might be relevant again. I will take a quick second to discuss some spoilers and probably not the most exciting ones. These three cards tell me there will probably be a pretty powerful and very budget friendly deck available to newer Standard players. These cards remind me a lot of these few from 15 years ago. 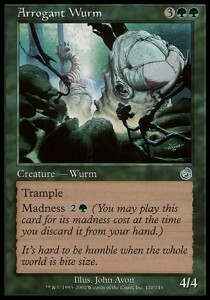 These cards were part of the insanely inexpensive U/G Madness deck. 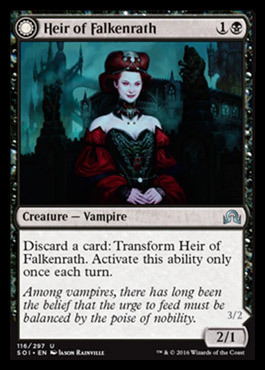 While it’s unlikely to be nearly as competitive (due to the nature of powerful Mythic Rares), it is sufficient to beat down at your local FNM. 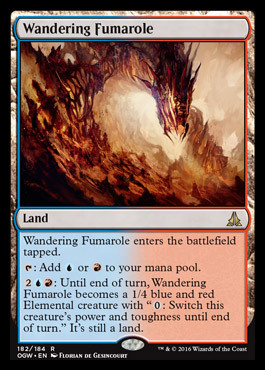 My suggestion if you’re short some cash is to invest in Smoldering Marsh, Avaricious Dragon, Exquisite Firecraft, Zurgo Bellstriker, and Thunderbreak Regent. There is probably a deck somewhere in there and all of the cards are cheap now. So, with Avacyn now being a thing at 5 mana, does that kill a lot of opportunity for Linvala to see play? I don’t think Avacyn makes Linvala any more or less playable. 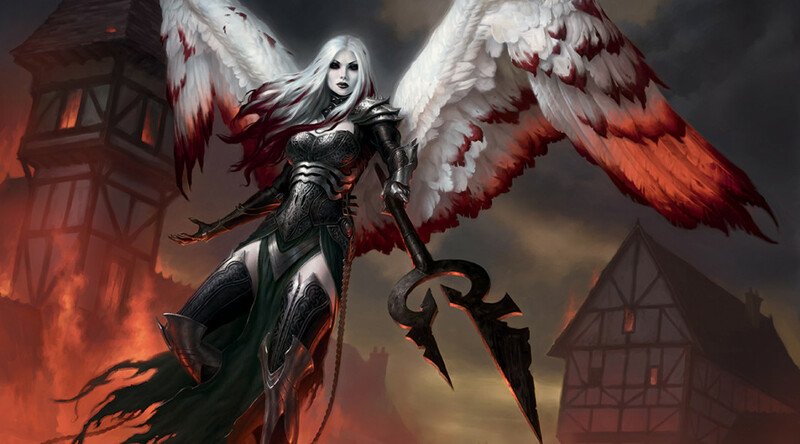 Avacyn is a different card and they are not mutually competing for the same spot. Honestly, I’m not sure a ton is worth getting but I will take a look at that within the month.